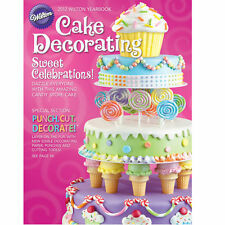 Showing results for "wilton yearbook"
eBay **WILTON** Special Anniversary Issue 2014 Year Book Softcover Recipe Book! Buy Yearbook of the United Nations 2013 by Department of Public Information and Read this Book on Kobo's Free Apps. Discover Kobo's Vast Collection of Ebooks and Audiobooks Today - Over 4 Million Titles! Product Description: Discover the unmatched detail that has made Wilton figurines the perfect finishing touch for generations. The rich, sculpted crafting, realistic detailing and romantic designs made these figurines perfect wedding day keepsakes. Height: 17.1cm Base: 7.6cm diameter. Bonded Marble.